The first draft of this post was intended to be a straight forward review of this year's 'Christmas Books' that Santa saw fit to send my way this festive season. 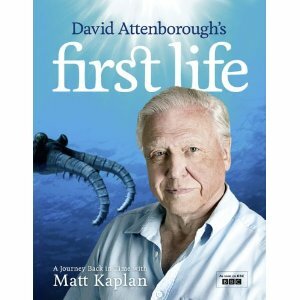 Among the three that he bestowed upon me this year was 'First Life' by David Attenborough and Matt Kaplan. It is the book of the TV mini series of the same name and is a wonderful piece of work. But it got me thinking about the influence David Attenborough has had on my life and after giving it some thought I realised it has been enormous! Born on 8th May 1926, David joined the BBC in 1952 and rather bizarrely, was initially discouraged from appearing on camera because it was thought that his teeth were too big! His first contribution to the subject of natural history was a three part BBC series called 'The Pattern of Animals' that he presented and produced himself. My own first recollection of the man was when I started to watch the epic series 'Life on Earth', which brought the incredible variety and beauty of life on earth in all its glory. While Attenborough presented the programmes, it was the animals who were the real stars. One progrmme that I've never forgotten featured the Mountain Gorillas in Rwanda. The way the series introduced the ugly as well as the beautiful, the weird as well as the wonderful was pure genius and it set the standard for natural history broadcasting. 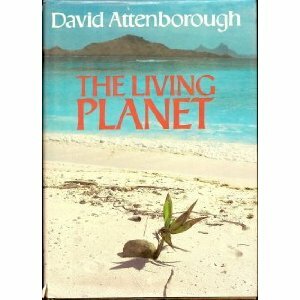 As well as presenting the regular series 'Wildlife on One', the 'Life' series continued with 'The Living Planet'. This series built on the success of 'Life on Earth' and was based on ecology - the way in which animals adapt to their environment. This was another brilliant series and was followed by 'The Trials of Life' looking at animal behaviour. This completed the 'Life' trilogy, which was the original intention, but other more specialist series covering all facets of life were to follow. In 1993 he presented 'Life in the Freezer', highlighting the natural history of Antarctica. 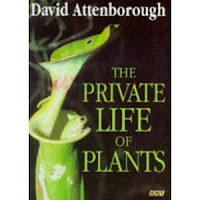 A noticeable omission from Attenborough's works up until this point was the world of plants and this was addressed in 'The Private Life of Plants' in 1995. The reason for the reluctance to devote too much air time to plants is that they are essentially immobile objects and tend not to do a great deal. How do you make an hours TV programme depicting unmoving objects and make it entertaining? Well, this problem was tackled brilliantly with the use of groundbreaking time-lapse photography to speed up growth, death and seed dispersal. Following on from this came 'The Life of Birds' (1998); 'The Life of Mammals' (2002) and 'Life in the Undergrowth' (2005), To complete the story of 'life' 2008 saw the production of 'Life in Cold Blood', focusing on the remaining animal groups of amphibians and reptiles. And that was intended to be that until he realised one final, but major omission - the very beginning of Life on Earth. This thought spawned the ultimate prequel - 'First Life'. Another stunning piece of work, this time brought to 'life' by some magical computer animation. What is a shame about this series and the superb book that goes with it is that for me, it came a year too late. It would've been invaluable in my recent study of fossils and the history of life with the OU! Nevertheless, reading it now is shedding more light on the mysterious onset of life and is helping me better understand the process of evolution. In fact this book ought to be required reading for the disappointing Darwin course that I've just finished. Or maybe the OU could ask Matt Kaplan to re-write the Darwin and Evolution course book? Anyway, what fascinates me is the Ediacaran period and the discovery of a group of fossils in pre-cambrian rocks such as Charnia masoni, first discovered in April 1957 in Charnwood Forest by an eleven year old schoolboy called Roger Mason, who ironically attended the same Leicestershire grammar school as Mr Attenborough! What brings this subject to life is some superb animated computer graphics giving an interpretation of what these ancient lifeforms may have looked like all those millions of years ago. Of course no-one really knows what these creatures looked like or how they really lived, but isn't that the case with much of geology? It's all about evidence, interpretation, and the discussion that follows. In this book Attenborough offers all sides of the argument, such as in the pros and cons of the 'Snowball Earth' theory, but leaves it to the reader to make his or her own mind up, which is how it should be. 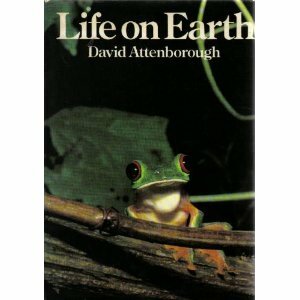 I really hope the man is eternal because BBC television without David Attenborough is quite unthinkable. Even though he's in his eighty-fifth year, I'm sure there will be a few more gems to come from this genius of broadcasting. Long live David Attenborough - a real 'national treasure' if ever there was one!